Early Odds is a tipster service with a difference. The difference is the person behind it. He’s called Max. And he says he’s “a professional horse racing bettor and programmer from Montenegro”. Now, for reasons that are not fully explained on the sales page, Max one day developed an interest in British horse racing: or, more specifically, in the possibilities presented by all the historic data at Racing Post, Sporting Life and Timeform. And from these enquiries, a value-based tipster service that focusses primarily on early prices was born. Suitably intrigued, Lay Back triallist Martin kicked off a review of Max’s brainchild around the start of June. And he promptly started to produce some exciting test results. By the end of month #2, he’d amassed almost sixty points’ profit. And now, 522 bets after he started testing, he’s ready to announce his conclusions. So… did Max’s value-based service deliver consistent profits? The final set of headline statistics are very impressive indeed. Martin has been using three banks of £200 each and betting at just £2 a point. He has made almost 70 points’ profit from 522 bets, predominantly at bookmakers rather than at the exchange. Overall, Martin is very satisfied with the outcome. He writes: “As you can see we didn’t make as much this month as in previous periods, but given that the system has made money each month of the trial and grown the starting bank by 70% at Prices Taken, it would be unfair to be critical. “My only issue is the haphazard way in which the recommendations are sent. There are usually 2 or 3 emails per day with varying numbers of selections on them. However they arrive at random times: some are sent the evening before whilst others turn up with about an hour to go before the off. “This often means that the advised price has gone and the price that has had to be taken can be some ticks lower. Indeed on some occasions (not that many I must admit) the price had dropped so far that I wondered whether I was still getting value. “Unless you are able to react very quickly to the selections arriving, I don’t believe you would be able to profit from the advised prices and so I think the much more realistic Price Taken figures should be used. “The system can produce long losing sequences. The longest last month was 16, so it should be treated with some care as there were a few occasions where the monthly profit figure had gone into the red, although it did recover well enough. 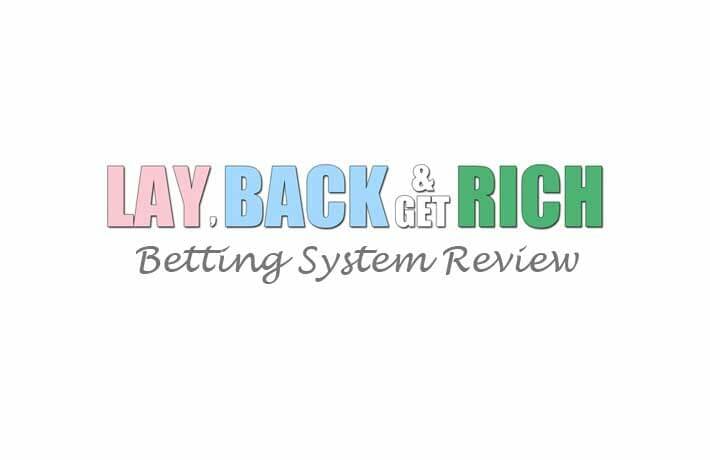 “I enjoyed using the system and it looks as if it could be a very useful addition to a betting portfolio”. You can download Martin’s results log for the entire trial by clicking here. There are a few things to watch out for with Early Odds. Firstly, tips are issued over quite a long period of time — from the night before to an hour before the race! — so you might miss the best prices. We didn’t manage to obtain the advised odds and therefore didn’t make as much money as the service claims to have done. Secondly, there are quite a lot of selections. We’ve got through over 500 in three months, which means you are going to have to get organised if you jump in. Finally, you really wouldn’t want to use this service at Betfair SP. It is all about finding that bit of extra value that is going to make all the difference. There is however also some extremely good news. Most importantly, we made a remarkable 69 points’ profit in just three months at prices that we managed to obtain in the market. And crucially, although there can be long losing runs, month-by-month performance was very consistent, with the bank balance increasing in each of our progress reports. I therefore have no hesitation in awarding a Pass rating to Early Odds. It certainly is different – and it’s a service that you should seriously consider. You can get involved with Early Odds by clicking here. When I first came across Early Odds, it just seemed plain weird. Here was a service devised by someone called Max, who describes himself as: “a professional horse racing bettor and programmer from Montenegro”. And no, this is not a service that focusses on Montenegrin horse racing, if such a thing exists. The enigmatic Max publishes tips solely for the old familiar world of British horse racing. And, no matter how unlikely it may seem, month #1 of our trial duly produced some very creditable test results. But you know how it is with scepticism. Once you have succumbed to its whisperings, it becomes difficult to be persuaded otherwise. What I really needed to see was another solid month’s test data. So… did my triallist Martin make more money in month #2? Yes, I’m pleased to say he did. The performance for the period wasn’t quite up to the standard of month #1, but it still wasn’t bad. Martin is using three banks of £200 and betting at £2 a point. Triallist Martin writes: “The results for month #2 are not as good as the first month although they are still very acceptable, particularly the Advised Price results. “The Taken Price results were OK but would have been a lot better if I had been able to get many of the bets on earlier than I did. “That is the one problem I have with the system. Two or three emails are normally sent for a day’s racing. The first one normally arrives sometime from 8pm onwards and others at random times, either that evening or the following day: and occasionally they are received an hour or so before the off. 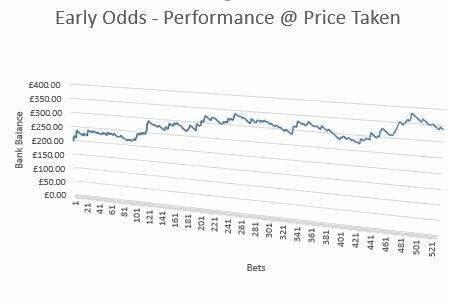 “If I do not see the email within about 30 minutes of it being sent then the prices will almost always have dropped, sometimes drastically, but I guess that is what the system is all about… identifying where the bookies have got their early prices wrong. “Once they realise they have made an error, they adjust their odds”. The Early Odds service produces a lot of selections, so Martin and I have decided to extend the trial for a third month. Doing so should bring us to around 500 bets in all. So far, performance has been very good – and nicely consistent. Still, the often bitter experience of trialling has taught me to be cautious: so I am not declaring Early Odds a winner just yet. Martin and I will be back with the trial conclusion in September. In the meantime, you can find out more about Early Odds here. It seems there is a change in the air with my ongoing trials. In the first four months of 2016, and in spite of running up to 20 reviews in parallel, I passed exactly one service. However, since then there have three more Passes – plus a number of promising ongoing trials. So maybe our patience is finally being rewarded? And this brings me to a trial of another product for which I had great hopes at the start: value-based tipster service Early Odds. It’s only a month since I wrote my introduction – but triallist Martin has already put on over 160 bets. So… is Early Odds showing signs of promise too? Just look at these wonderful performance figures. They are based on banks of £200 and assume 1 point equals £2. Martin has managed to get pretty close to the advised odds when he’s put his bets on. Which explains why his ROI of 25.65% is just six percentage points behind the Advised Price figure of 31.21%. “The selections are sent the night before at various times but usually around about 9pm, however sometimes another two or occasionally three extra selection emails are sent later that night or even the next day. “This means that whilst I have usually been able to get the suggested prices for the first lot of horses, I am sometimes not able to get the price for the later ones as I may not see them until a while after they have been sent, and so the prices will have dropped a few ticks. 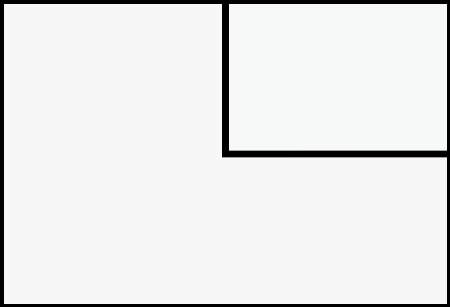 This is usually the case for selections sent the following day. “It’s a bit hit and miss as to whether extra ones are going to be received and frankly, I don’t have the time to keep checking my emails for new selections. “However, I have managed to put bets on all but a few of the selections at prices mostly close enough to the advised ones. I have missed betting on a small number because I was away on a family weekend but I did record them and their results at the advised price”. The complete results log for the trial to date looks like this..
My minimum trial size is 200 bets but, given that we’ve run up almost this number in a single month, Martin and I have agreed to extend the review to a full quarter: probably around 500 or so in all. Martin is also playing around with a back-to-lay variant of the trial which may, if it produces adequate profit, offer an intriguing alternative strategy for risk-averse punters. We will return to this theme in future if it shows promise, however I should stress that Early Odds is positioned as a straight backing service. In the meantime, it’s hard not to feel excited about the results to date. Still, there’s a long way to go – so Martin and I will be back with our next report in August. Meanwhile, you can read more about Early Odds here. It’s a curious fact that all markets have a beginning. So someone somewhere has to put on the first bet. Which does make you wonder – what price does the first punter get? And more to the point, how was that price arrived at? Well, it’s a tortuous business. But it’s really just a combination of both maths and luck. You see, early horse racing markets, the night before the event, are all over the place. And that’s because the bookies throw out prices and watch how the markets respond. Their basic problem is that they can’t figure out what a balanced book looks like until they’ve taken a certain amount of money. Meaning… some of their early prices are likely to be completely wrong. Also meaning… there is opportunity in early markets. Welcome then to my new trial of… Early Odds! Early Odds is a Betfan tipster that focusses on horse racing markets when they’re still young. According to the sales page, the service provides “over 90%” of its selections the evening before the races. Somewhat bizarrely, the whole thing is the brainchild of a Montenegrin programmer called Max who claims to have a thing about data analysis. Max essentially comes up with his own tissue prices the night before the racing then compares them with the bookies’ early odds. Where he finds a big difference, he tries to figure out why. Sometimes there’s a good reason, sometimes not. But if he thinks the bookies have got it seriously wrong, he publishes a selection by email: sometimes several times in an evening. Thus was the Early Odds service born. Max’s sales page has got a delightfully sceptical streak to it. For instance he says, “I analyse a lot of available data over a long period of time, apply a worst case scenario and only if then I have a positive result do I expect something out of it”. He adds, “In all of this I am very realistic. That is primary, only after that comes my knowledge as a professional programmer”. And I find myself starting to believe him. So yes, I’m officially intrigued by Montenegrin Max. My weary Betting Bounty triallist Martin returns to the fold to pick up this one – and I gather he too shares my sense of intrigue. Maybe Max really is on to something. I’ll be back in a month or so with Martin’s first report. In the meantime you can find out more about Early Odds by clicking here.